Unlike other driving trips I've done, this one wasn't hosted in an amazing hotel with top shelf booze and catered food. Instead, we packed up the cars and brought our own tents, food and supplies. Heck, since it's in the middle of the desert we even had to bring our own water! 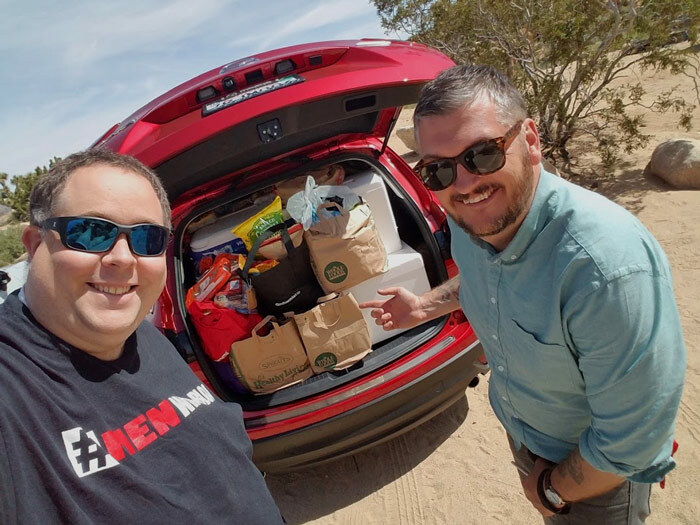 While the forthcoming CX-9 would have made stuff easier it is amazing how much stuff fit into the CX-5 that we drove to the campsite. 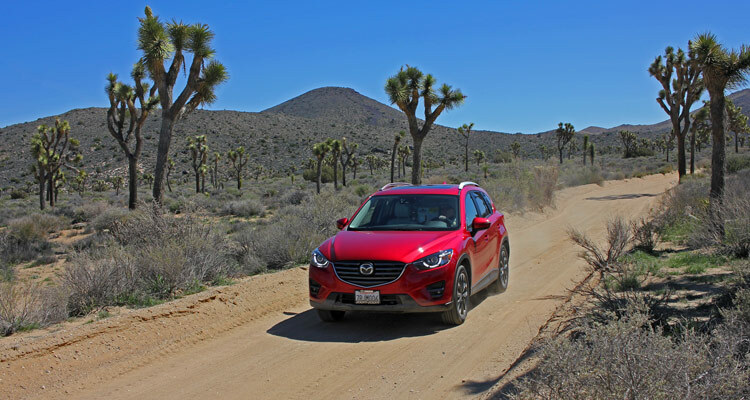 From there, we explored Joshua Tree National Park and it's stunning scenery. 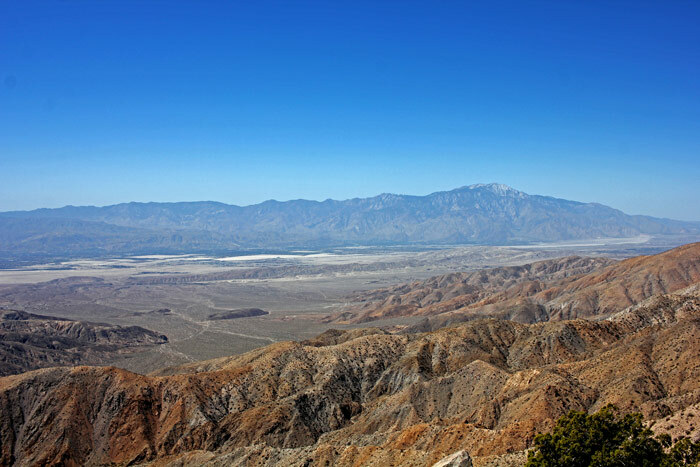 From cruising down sand roads testing out the AWD to climbing hills so we can find incredible vistas like this one overlooking the San Andreas fault line through the Cochella Valley, we could have stayed in the park itself an entire week and would have had a great time. 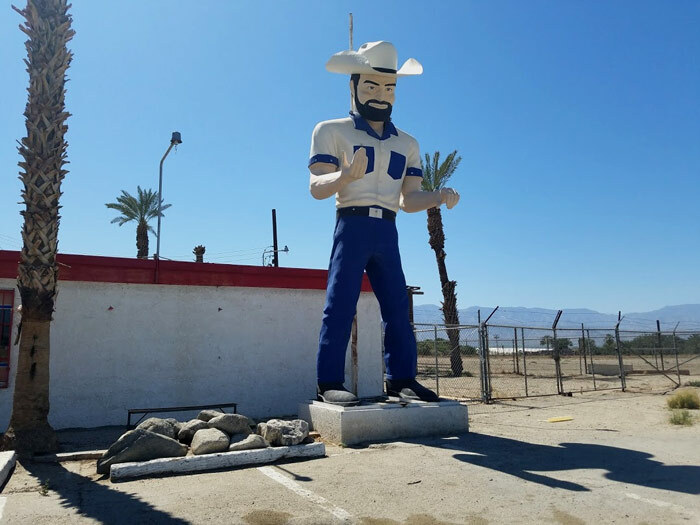 However, the thing that's amazing about the desert is that while many people would consider it "desolate" there are plenty of weird and wonderful things begging you to stop and see them. 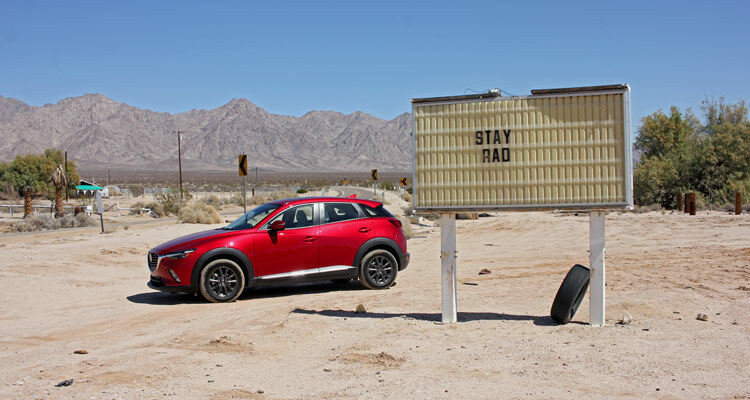 For instance, who can resist a sign in an abandoned restaurant that simply says, "Stay Rad"? 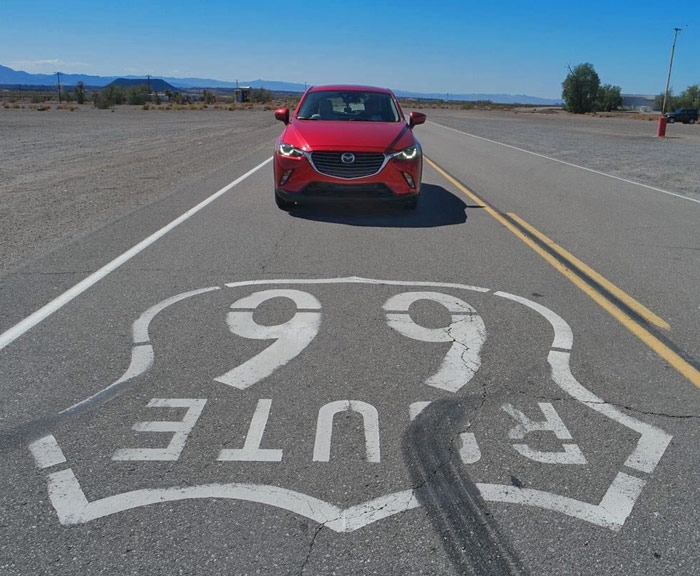 While the CX-5 is a great car that's well balanced for hauling people and stuff comfortably, the CX-3 is even more fun to drive on the wide open roads of the Mojave desert as we headed north to Amboy and RT-66. 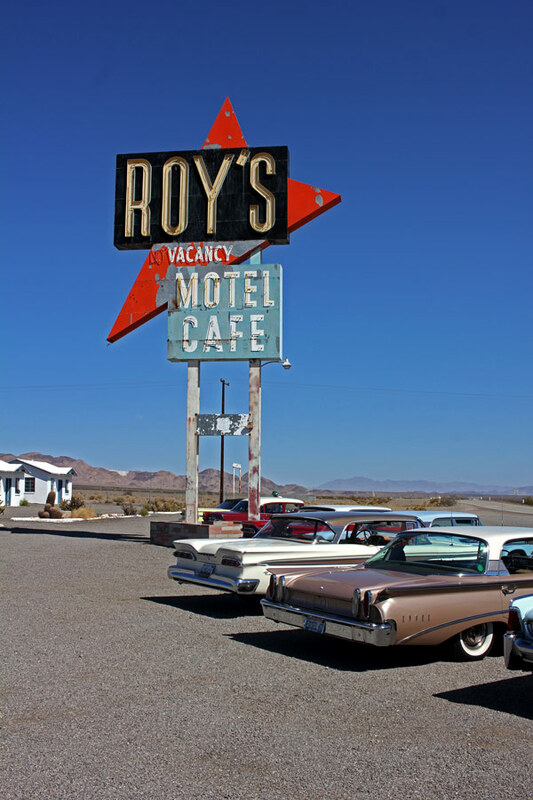 One of the most iconic parts of RT-66 is Roy's Cafe where they are in the process of restoring it to the original 1950's wonderfulness. As we looked up from our Route Beer (get it?!) we noticed a parade of restored Edsels enter the parking lot. Several years ago, this entire town was purchased by a man who wanted to restore it to it's former glory. Today, the 1938 gas station is functioning as a rest stop for travelers to grab a cold drink and a snack. Rumor has it that the cottages are also being restored and maybe one day will be available for guests to stay there. 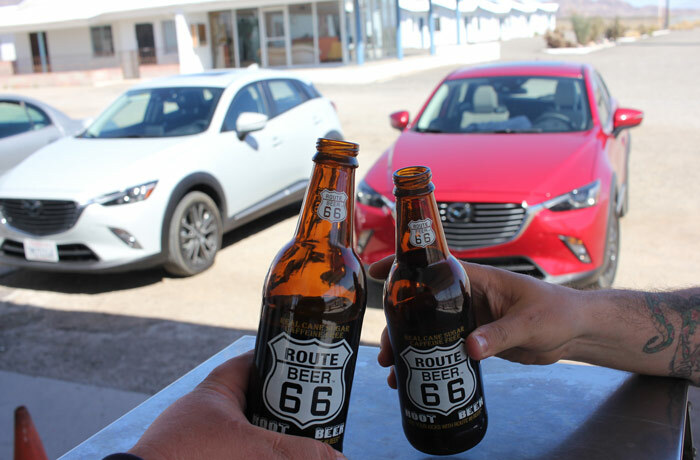 For now though, it was time to take our obligatory RT 66 photo and head back to our next adventure! 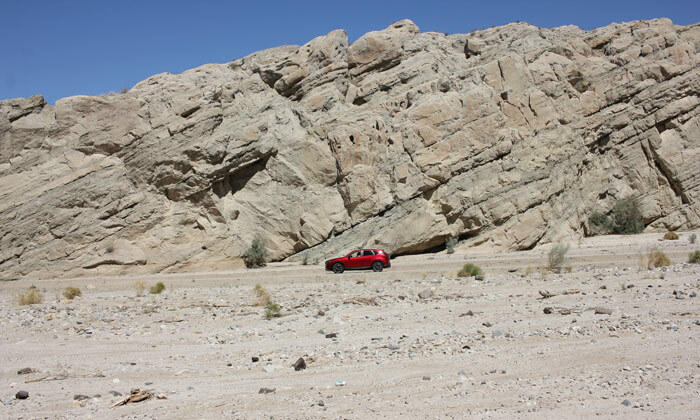 This time we headed south to the Salton Sea through the Box Canyon where you suddenly realize the massive geological forces that created this area. 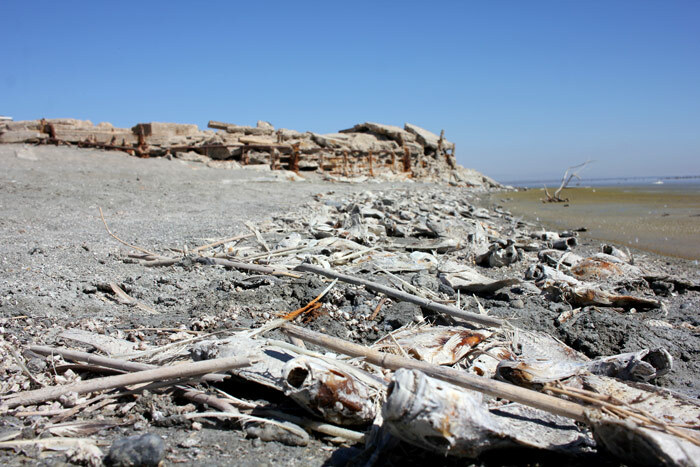 Upon emerging from the canyon you enter the Salton Sea area. Today it is a wasteland of broken dreams and eccentric people looking to live out their dreams while being anchored at the top and bottom by some of the best farm land in America. 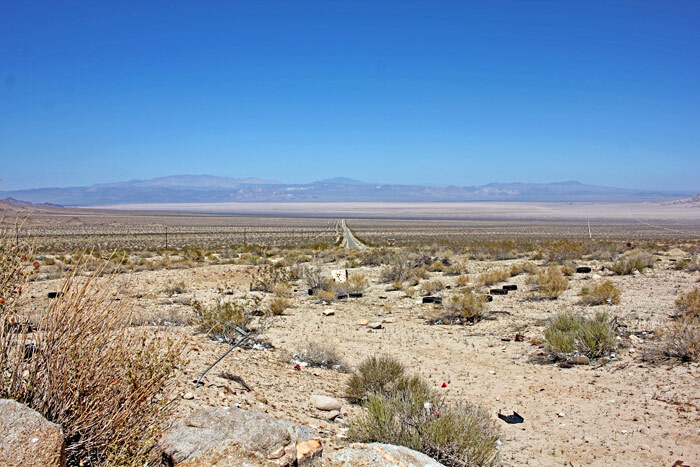 About 1900, irrigation canals were built to bring water from the Colorado River to what at the time was a dry lake bed to turn it into farm land. Unfortunately a few years later disaster struck and the Colorado River broke through and started to fill the basin for two years until it could be fixed. During the 1950's though, this ecological disaster was turned into a tourism paradise known as the "California Riviera". Today though, the lake level has dropped, salt levels have increased, algal blooms have expanded, and dead fish litter the shore. - not surprisingly this hasn't been good for tourism except those of us like myself who enjoy exploring. What I love about exploring this country though is that no matter how isolated or desolate a place is, people always find a way to smile and do cool stuff. 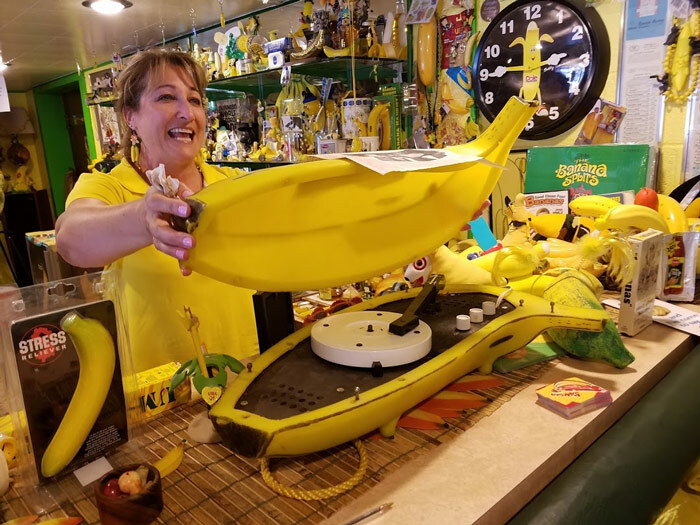 For instance, based on what I described above - would you ever consider that it would be the home to the International Banana Museum? 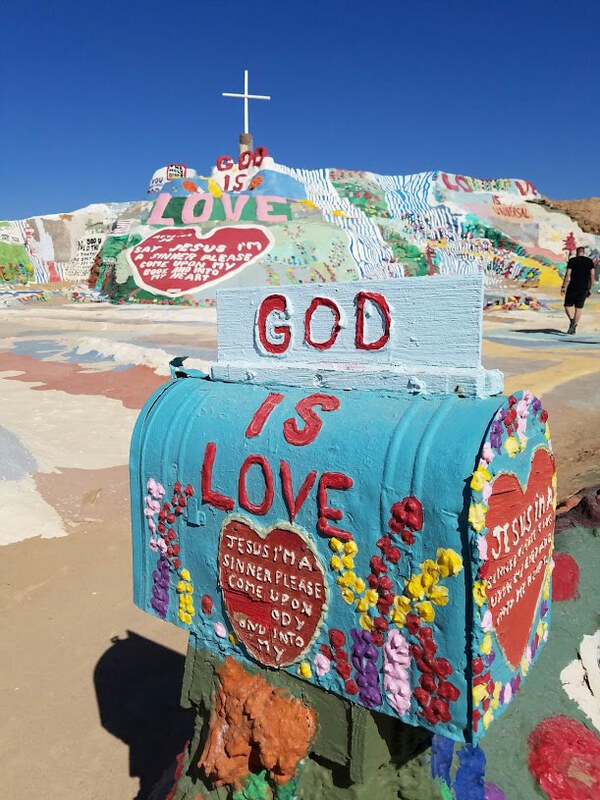 Farther south in Nileland, CA is an area known as Salvation Mountain and it marks the entrance to what could be described as an artist colony a squaters camp that has taken over a former Fort Dunlap Marine training center known now as Slab City. 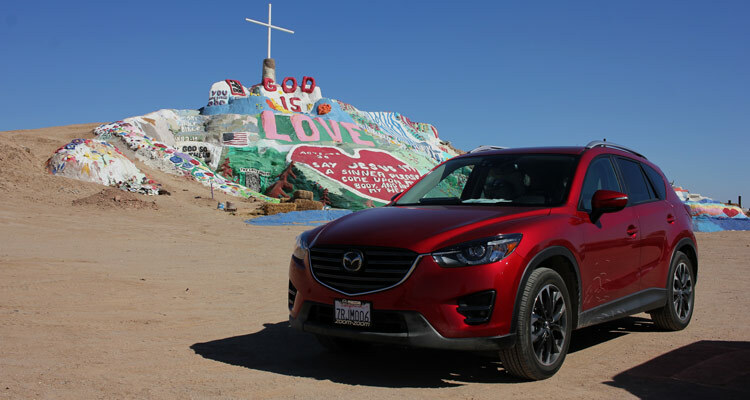 Salvation Mountain is one man's dream and work of passion. Leonard Knight - the artist built the mountain between 1980 and 2014 when he passed away, but volunteers continue to bring paint and supplies to maintain the project. 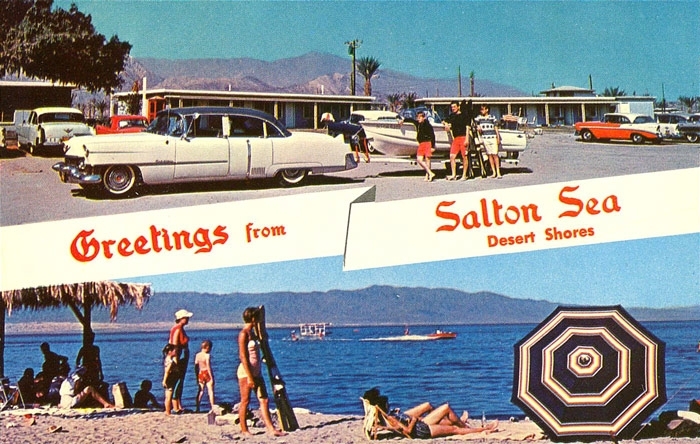 While our trip was short, there is so much to explore in the Salton Sea area and it should be looked at as a testamant that while you can fly places and experience great adventures in popular tourist destinations there's amazing stuff in this country that is only accessible by car. Thank you Mazda for making this possible!